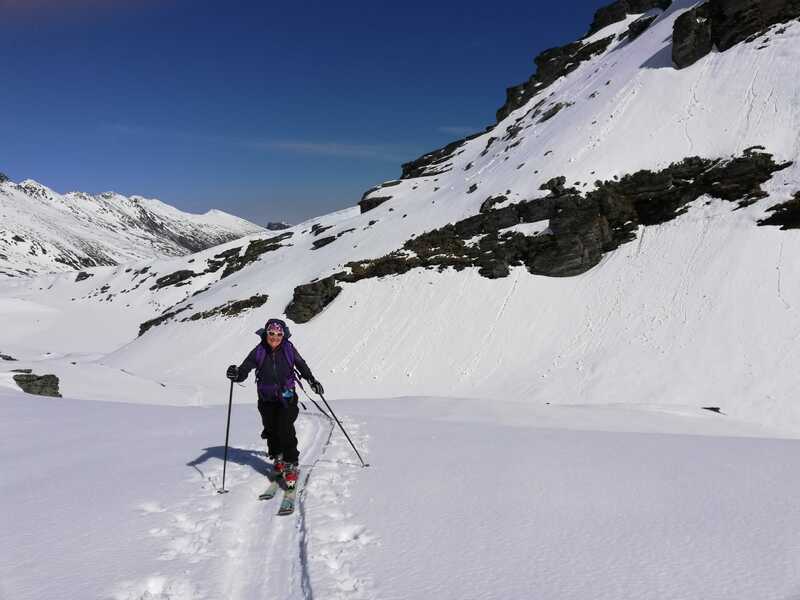 Recent snow falls have left the back country ski touring conditions in NZ magnificent. A few days ago, Iris , Gary and two friends from Queenstown did a day ski tour off the back of the very accessible Remarkables ski area, into Y creek. Skinning back up to curvy basin saddle on recent day Ski tour @ Remarkables. 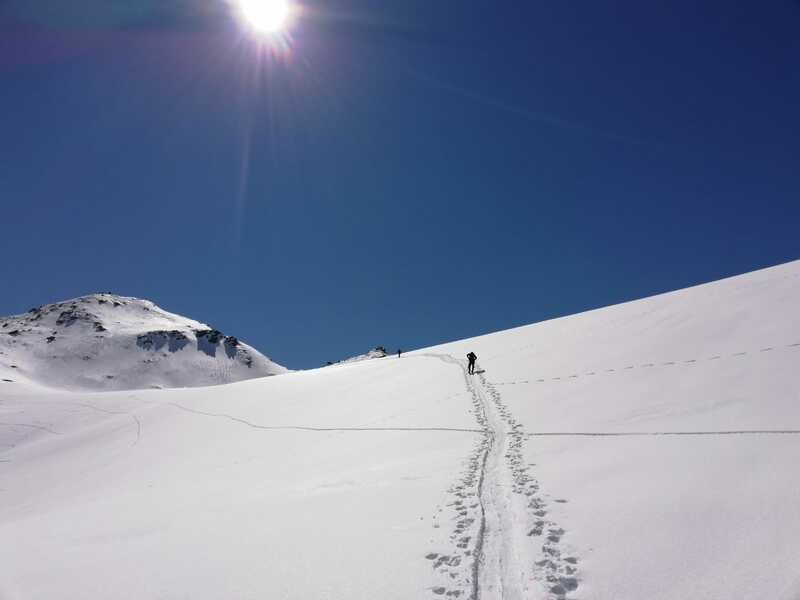 This entry was posted in Latest News and tagged backcountry ski touring in NZ, ski touring new zealand by alpinism. Bookmark the permalink.